Braised beef tacos take on incredible flavor using a unique chile rub before cooking. A few simple ingredients, along with a slow roast in the oven creates a thick rich sauce to mix into the beef once it’s shredded. 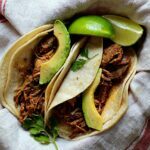 An exciting flavored shredded beef taco recipe that will make the best beef street tacos ever. 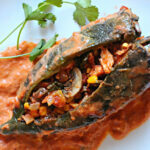 Chicken Chiles Rellenos Recipe with a luscious tomato cream sauce. Stuffed with vegetables and baked, a very special recipe with bold complex flavors. 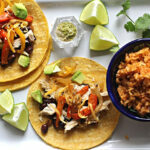 Roasted Bell Pepper, Chipotle Chile Pepper Seasoned Black Beans and Orange Honey Glazed Chicken makes one heck of a good taco. 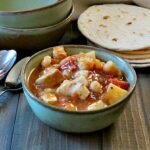 This is a Pork Posole Recipe made in the Instant Pot. Cooking hominy in the pressure cooker works like a charm. 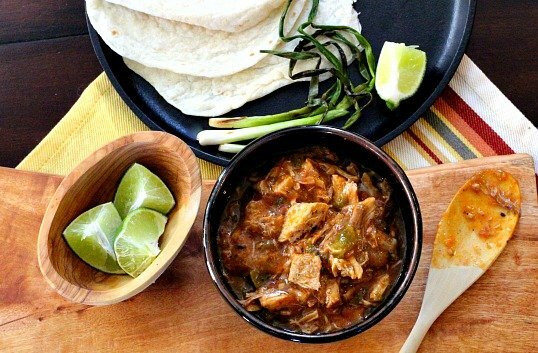 The chiles and seasonings infuse great flavor into the pork when cooked under pressure. 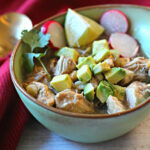 Posole can be complicated, but the pressure cooker turns this into an easy one-pot meal. Homemade enchilada sauce. 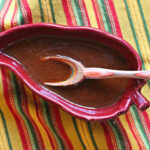 Actually, the Best Homemade Enchilada Sauce. 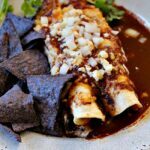 Deep red in color and with deep earthy flavors, this is the only enchilada sauce recipe you need. 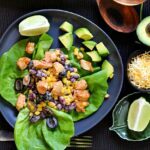 This is a Mexican Salad Recipe that features a very special sweet spicy dressing and a great line-up of ingredients that will have you asking for seconds. Casa Grande Mexican Salad is healthy and crisp with Bibb lettuce, savory with kidney beans and chicken breast and salty with black olives. 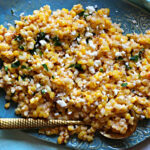 Incredible with flavor and a healthy Spring salad choice. Entertaining worthy.